If you're deficient in vitamin B12, taking B12 supplements is important to stay healthy and avoid dangerous side effects. Supplementing with vitamin B12 is also a good idea if you're at risk for becoming deficient in this essential nutrient. Therefore, knowing which type of B12 supplement is right for you is a must. Vitamin B12 is available in many multivitamin supplements, B12 supplements, nasal sprays, and intramuscular injections. With so many options, you may be wondering which choice is the right one for you. The best way to get your daily dose of vitamin B12 depends on a variety of factors and health conditions, so chat with your doctor for individualized recommendations. In general, oral B12 supplements are recommended for people who don't get enough vitamin B12 in their diets -- especially those who avoid meat, poultry, seafood, eggs, and dairy foods. 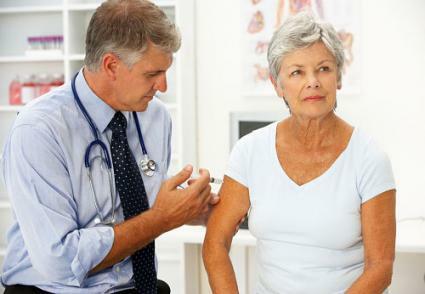 However, if you suffer from vitamin B12 deficiency or have trouble absorbing B12, your doctor may recommend injections. Note the similarities and differences between injections and supplements. Both are synthetic forms of vitamin B12. Oral supplements are pills taken by mouth and injections are shots injected into muscle tissue. Both help treat B12 deficiency. B12 injections are used if your body doesn't absorb vitamin B12 properly. High doses of B12 supplements and injections both require a doctor's prescription and/or regular medical supervision. You have to see a doctor each time you receive a B12 injection (often weekly or monthly); oral supplements can be taken daily on your own. Note the pros and cons of supplements and injections. Pro: Requires less supervision than injections. Pro: Less painful than injections. Pro: May work faster than oral supplements. Pro: Less expensive than injections. Con: More expensive than oral supplements. Pro: Helps prevent B12 deficiency. Con: Less convenient than oral supplements (requires a doctor visit for each injection). Con: May not work if your body has trouble absorbing vitamin B12. The bottom line is a doctor can tell you which type of vitamin B12 supplement, if any, is appropriate for you based on B12 levels in your body and health conditions you may have. Talk with your doctor about recommended dosages of vitamin B12 you should take, if any. Individual dosage needs are based on whether you're deficient in vitamin B12, and if your body properly absorbs this vitamin. Many oral B12 supplements should be taken daily, while injections are often needed weekly or monthly. The Office of Dietary Supplements notes high doses (1,000 to 2,000 micrograms daily -- followed by weekly doses) of oral B12 supplements may be just as effective as B12 injections to correct deficiency if your body properly absorbs B12. While you should always be monitored by a healthcare provider when taking high doses of B12 supplements or injections, the risks from toxicity are low. No adverse side effects have occurred in healthy individuals from getting too much B12 from foods or supplements, according to the Office of Dietary Supplements. Because of this, the Institute of Medicine has not issued a tolerable upper intake level for vitamin B12 as it has with other vitamins and minerals that can be toxic at high levels. If you're experiencing symptoms of B12 deficiency, it's time to see a doctor to determine if B12 supplements or injections are necessary. You can avoid deficiency by consuming foods rich in B12. The following chart shows recommended dietary allowances (RDAs) for vitamin B12 for children and adults. RDAs are amounts estimated to meet the needs of the majority of people in each age group. Meeting your B12 RDA is a good way to help prevent vitamin B12 deficiency; however, if you aren't absorbing it properly, you'll likely require high-dose oral B12 supplements or injections. Eating a diet rich in vitamin B12 and taking a multivitamin supplement containing B12 is a good way to help prevent vitamin B12 deficiency. However, a deficiency can't always be prevented, especially if you're taking certain medications or your body doesn't absorb vitamin B12. If you're at risk for or are experiencing symptoms of B12 deficiency, ask your doctor which type of B12 supplement or injection is right for you.